Posted July 21st, 2016 at 5:22 am | Log in to reply. Posted July 22nd, 2016 at 3:38 pm | Log in to reply. Yes, it’s chunjang. Good luck! Posted July 22nd, 2016 at 9:19 pm | Log in to reply. i’ve try this out!!! so yummylicious!!!! Posted February 28th, 2017 at 1:32 pm | Log in to reply. May I ask you where did you buy this? Posted February 27th, 2016 at 11:08 am | Log in to reply. I went to the Korean store close to me and they had black bean garlic sauce or black bean sauce powder, no black bean paste =\ I have one other place to try to see if they have it. Posted June 30th, 2015 at 10:07 am | Log in to reply. Is hard to fine this paste in Malaysia,,, hmmm any suggestions? Posted June 30th, 2015 at 10:26 am | Log in to reply. Posted June 30th, 2015 at 10:37 am | Log in to reply. Posted April 17th, 2015 at 3:38 pm | Log in to reply. I really love your youtube channel and your recipe . 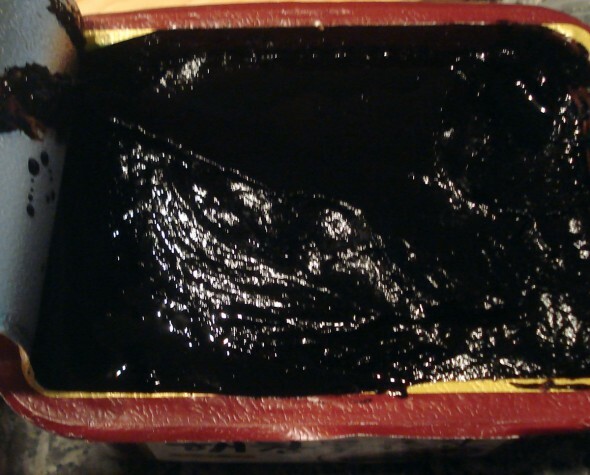 how make a black been paste, please ! Posted April 17th, 2015 at 9:11 pm | Log in to reply. Posted March 7th, 2013 at 10:39 pm | Log in to reply. Posted May 8th, 2012 at 11:18 am | Log in to reply. Posted October 6th, 2011 at 12:02 am | Log in to reply. 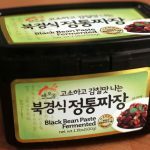 How to make blackbean paste??? Posted September 3rd, 2011 at 11:21 am | Log in to reply. Can I make Black bean paste on myself somehow? Posted April 11th, 2011 at 9:05 am | Log in to reply. I have a question, but first I should write that I absolutely loooove jja jang myung. I discovered the instant kind a while ago, and have since ordered it several times in asian food restaurants. But I just discovered that I am sensitive to gluten, and I am trying to avoid it as much as I can. I bought rice noodles (can’t think of the top of my head what kind they are but they were recommended to me) instead of the noodles used for the dish; but then I noticed that the bean paste I got also has wheat in it. So my question is: is there a brand of black bean paste that is gluten free? Posted April 12th, 2011 at 11:20 am | Log in to reply. Leave your question on the forum if you want, then someone else may give you good advice. Posted October 15th, 2010 at 9:52 am | Log in to reply. can you please tell me if there is other dishes you can use this for besides Jajangmyeon? Posted December 9th, 2011 at 6:33 am | Log in to reply. Posted October 2nd, 2010 at 1:29 am | Log in to reply. I made Jajangmyeon from your recipe last month (D’lish by the way) just curious how long the black bean paste will last in the refrigerator, or if I should freeze it. Posted October 2nd, 2010 at 10:06 am | Log in to reply. 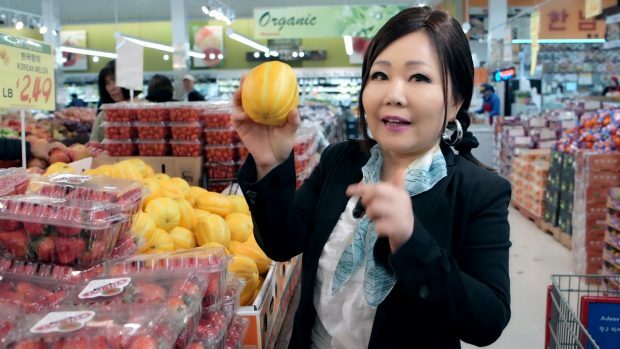 It is also fermented food, so you can keep it in the fridge up to 2-3 months! Posted April 28th, 2010 at 9:03 pm | Log in to reply. Hi! I’m going to try and make your Jja Jang Myun and was wondering if the Lee Kum brand black bean sauce is the same as using black bean paste. Are they the same thing? or should I find actual black bean “paste”? Thank you!!! Posted April 28th, 2010 at 11:11 pm | Log in to reply. No, you need Korean black bean paste (sold at a Korean grocery store) to make jjajangmyeon. Posted December 7th, 2009 at 12:25 pm | Log in to reply. does black bean paste have any non-halal ingredients???? I don’t think so. There is nothing in it but bean paste, sugar or corn syrup, rice paste and salt. Posted April 5th, 2012 at 6:01 am | Log in to reply. Pure_Hapa, what about hot pepper paste, do you know what the ingredients in it? Posted February 22nd, 2013 at 12:27 am | Log in to reply. Thank you so much for the information…. Posted November 25th, 2009 at 2:29 am | Log in to reply. 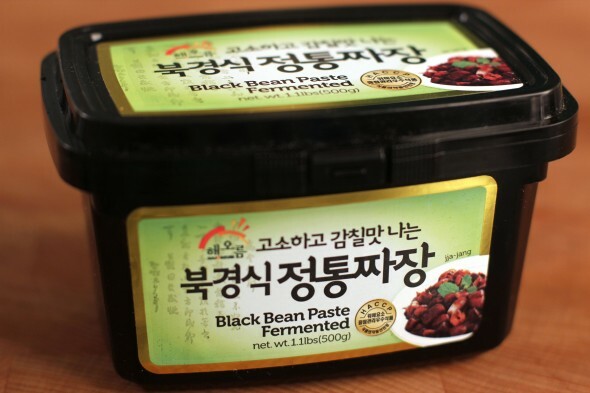 I bought one pack of Black bean paste from Korean grocery and the bean paste does not taste salty at all, it just smell fragrant, is it correct ? This is first time I buy Korean Black bean paste so I was quite surprised it is totally different from Chinese black bean paste which is quite salty. 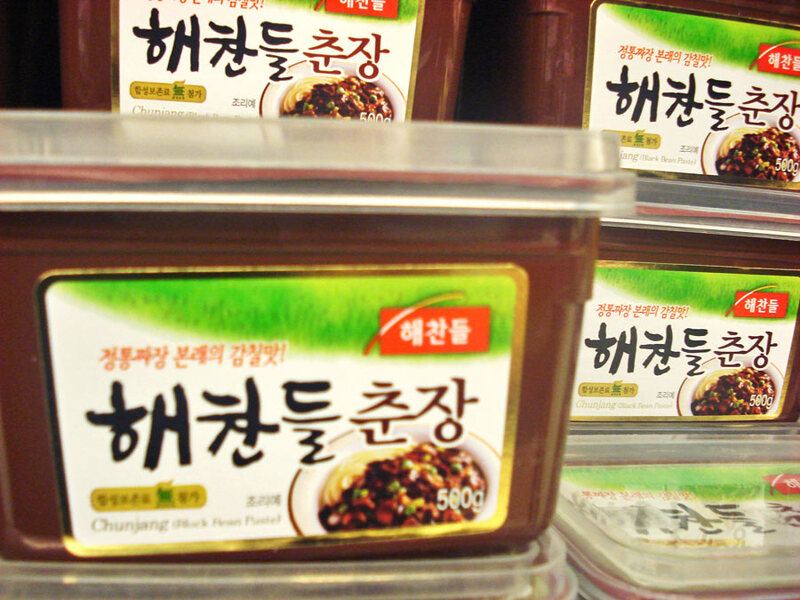 Is there a different version of Korean Black Bean paste in the market ? I followed your method in video and cook the Jia Jang Myuen, it tasted sweet, did I cook it correctly ? I’ve not tried the authendic Jia Jang Myuen before, so I’m not sure how it suppose to taste like. Posted November 10th, 2009 at 5:36 am | Log in to reply. Does the brand you used contain any meat? I’d really like to make jjajangmyun, but I’m a vegetarian. Thanks!